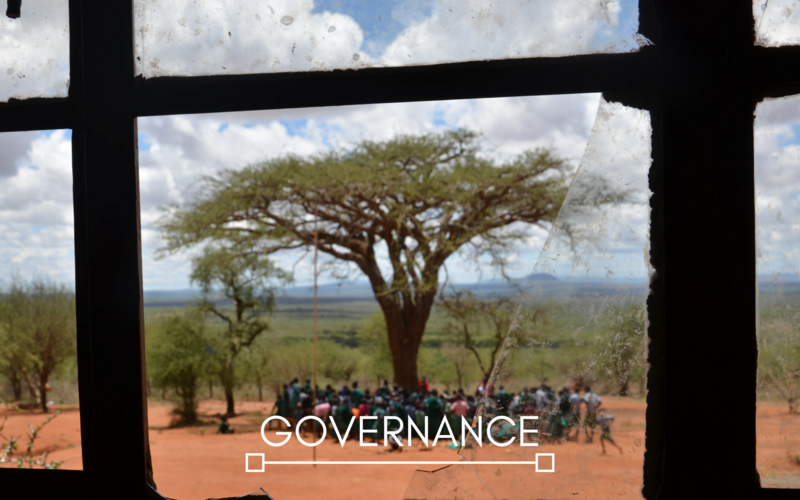 Aidlink is committed to the highest standards of good governance, accountability and transparency. Aidlink meets the Triple Lock standards of Charities Institute Ireland, has formally adopted the Dóchas Code of Corporate Governance and is registered with the Charities Regulatory Authority. In 2017 and 2018, Aidlink won the Carmichael Centre Good Governance Award (Category 3 €1 – €5 million turnover) for two consecutive years. Aidlink’s annual report and financial statements are available here and are prepared in line with the Statement of Recommended Practice for Financial Reporting by Charities (SORP). Aidlink’s annual reports have been shortlisted for the Chartered Accountants Ireland Published Accounts Awards 2016 and 2015, and won the small/medium not-for-profit category award in 2017 and 2018. Aidlink is governed by a voluntary Board of Directors from a range of relevant professional backgrounds. Terms of office are three years and Directors can serve a maximum of three terms. The Board of Directors are responsible for providing leadership, strategic direction, financial oversight, and good governance. John is CEO at SelfSense Technologies, and also works as a Non-executive Director, business consultant and mentor. Previously he was CEO at Merrion Pharmaceuticals plc and has worked in the USA, UK and Ireland. Brendan is a teacher in St Mary’s College Rathmines, and has participated in a number of Immersion programmes;Former Principal of Cistercian College, Roscrea. An accounting graduate, Brendan has a number of qualifications in education, including an M. Ed. in school leadership. Meadhbh is currently a Manager in the Management Consulting practice at KPMG. Prior to joining KPMG, Meadhbh worked within not for profit and publicly funded services delivering service improvement and strategic change projects. Meadhbh also has experience of recruitment and HR in the financial services industry. Liam was educated at UCD and qualified with PwC. Prior to co-founding his own firm ten years ago, he worked in a number of finance roles in New Zealand, the US, France, England and Ireland. Philip is a Kenyan National and is the TU4Dublin Academic Quality Manager at Institute of Technology Blanchardstown, and also Visiting Associate Professor in the School of Bio-systems Engineering, UCD. Eoghan is a Policy Analyst at the Central Bank of Ireland. He holds a Masters in Development Studies and before joining the Central Bank, spent 5 years working in International Development on programmes spanning urban and rural Africa and Asia. Marie has worked in the education sector for a number of years with a specific focus on adult education. She holds an M.Sc. in Development Studies from UCD and has worked overseas with UNDP in Malawi, working with Women’s groups on sustainable livelihoods projects. Sean is Chief Executive of Markets and Treasury at Bank of Ireland where he has also held the positions of Group Treasurer, Head of Markets for Global Markets and Managing Director for Fixed Income Property and has been a member of the Group Executive Committee since 2014. Sean is a Director of New Ireland Assurance Company plc and of Bank of Ireland Mortgage Bank and is a member of the CFA Institute. Brian is an experienced general manager having previously occupied leadership roles in technology, travel, logistics, retail and franchised businesses in Ireland, UK, Spain and Italy. Brian holds a Masters in Business from the Irish management Institute.